The Resident Tourist: In Between Trains . . .
Having recently seen Hugo - a complete masterpiece - I've become nostalgic for a time and a place when train stations were celebrated. A time when people would dress up to board a train, a time when the station was a place to see and be seen. 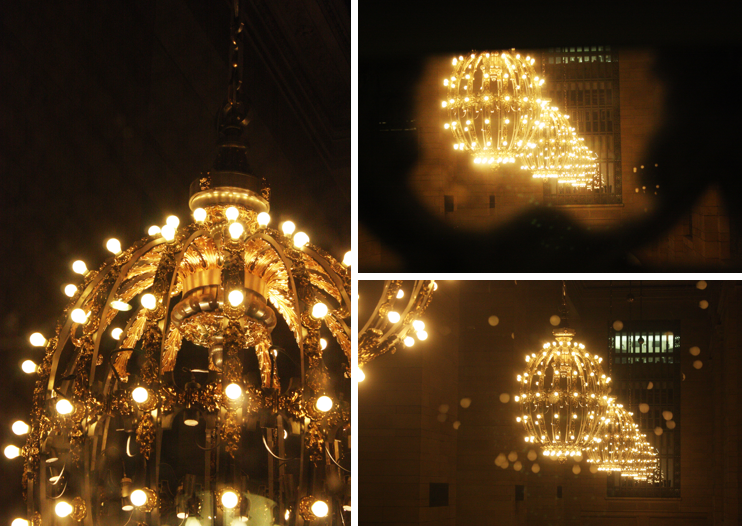 Well, the only cure for this nostalgia was a visit to Grand Central (no offense, NY Penn Station). Grand Central Station is such a New York treasure, I could go on and on about the shopping and the architecture and the market and the tennis courts, but I'll save those for later posts. Some of my favorite Hugo moments were the interactions of the people sitting at the station bar or cafe as they enjoyed a glass of wine or a lovely little espresso in the middle of the station floor. I loved the dynamic of the crowds hustling in between trains while the regulars sat sipping their drinks with such pleasure. I thought I'd try to recreate my own New York version of those train station moments. Like any New Yorker, we started out the night with a friendly drink. 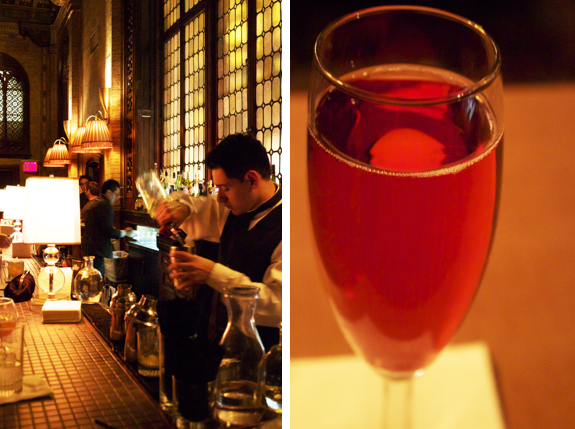 A Kir Royale at The Campbell Apartment was the perfect way to bring back that old fashioned glamour once associated with train stations. 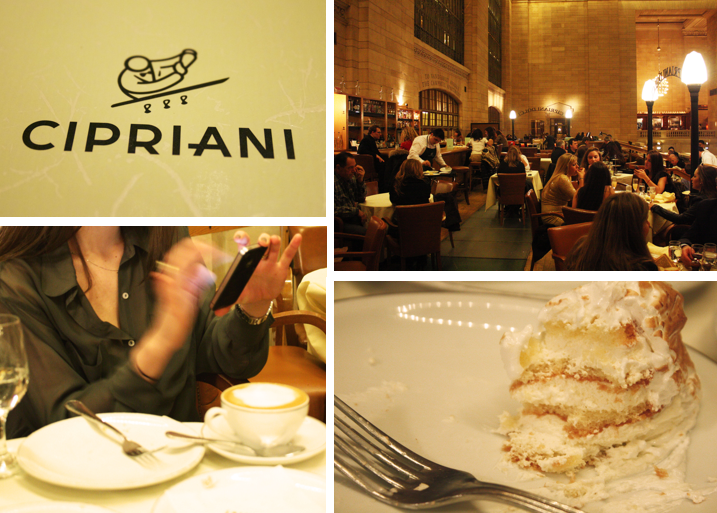 After our apéritifs, we headed over to Cipriani Dolci for dessert. It was magical to be at one of my favorite restaurants in the world (the Venice location is obviously my number one, but Fifth Avenue comes in a close second), overlooking commuters from all over zooming in and out of the main floor. With the taste of Venice, the style of New York, and the countless languages heard throughout the station, it felt straight out of a Scorsese.